2. Please don't try to be healthy 100% of the time. Mexican food is about cheese, tortillas, and meat... and it's too good to miss out on. There are healthy options, but definitely still try the unhealthy ones. 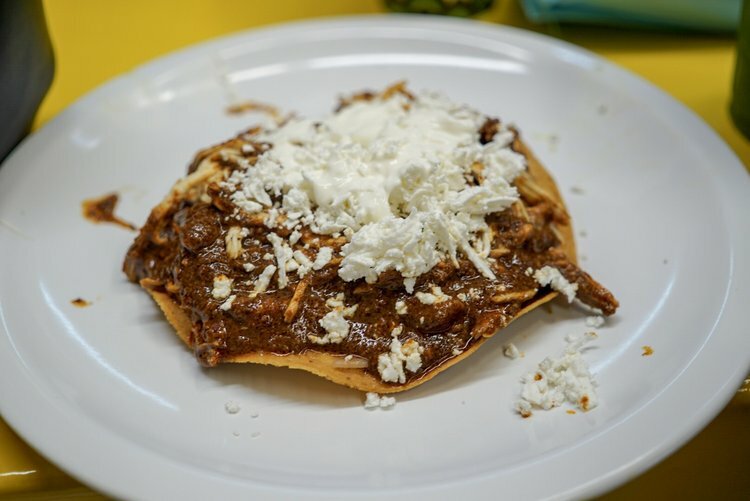 This tostada is from the market pictured above. 3. Fine dining is often foreign. This is from a Mediterranean- French restaurant we went to in Roma- Sartoria. It was difficult to find nicer restaurants that served authentic Mexican food, but many of the other restaurants still incorporate Mexican ingredients. 4. 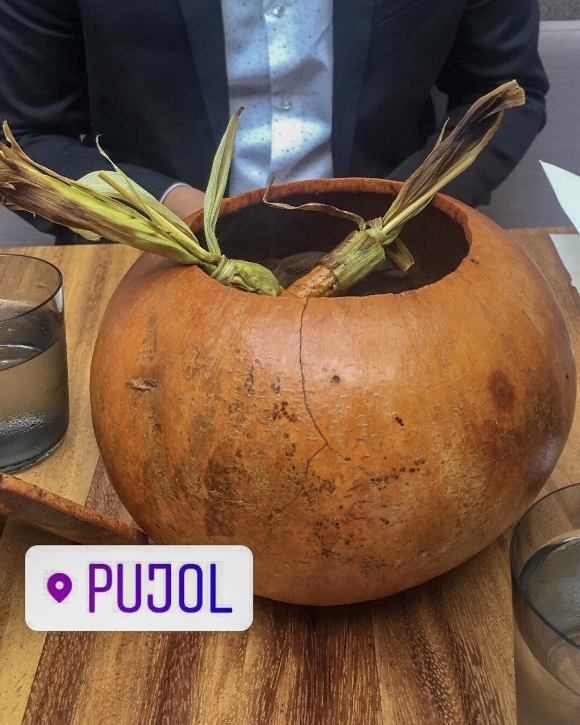 But if you are looking for fine dining with authentic Mexican food go to Pujol! But make your reservation before you book your flight!! Pujol is ranked in one of the top 10 restaurants in the world and is actually not too pricey. The servers are great at explaining the significance of every dish in English or Spanish. The portions are actually pretty big too (for a tasting menu) and we lefts feeling very full. Oh- and they have mole that has been fermenting for over 1000 days! Pictured here is the street corn and above is duck. 5. Be careful with salads. I did try to eat at least one salad a day and thank goodness I never got sick. It's just important to remember that the water isn't treated like it is in America and they wash their this water. So just be careful! This salad is from the Mediterranean- French restaurant from the earlier picture. 6. That orange fruit is papaya! 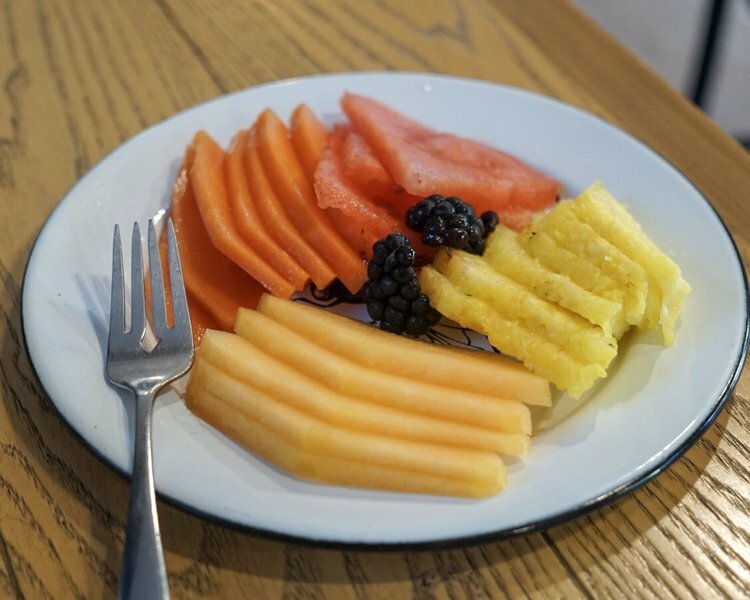 Every time we ordered breakfast I tried to get my serving of fruit in by ordering a fruit place. They were so good...but be prepared for a lot of papaya. Once I ordered and basically received a whole plate of papaya. I would say that this fruit is an acquired taste, but not bad! Just a little different. Kind of like mushy cantaloupe. 7. The coffee is so good! 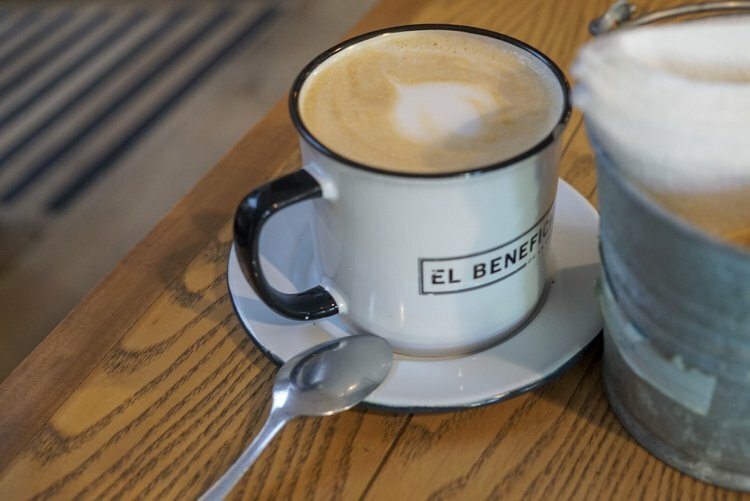 It was very smooth and each little area had their own locally-sourced coffee beans. In Coyoacan there's a coffee shop that's been there for 50 years and always has a line- Cafe el Jarocho. Please do try all the coffee everywhere. 8. It's okay to eat chips for breakfast! If they're in the form of chilaquiles! But ugh- side note: one place we went to for breakfast and two Americans were also eating chilaquiles. Except they were also stirring collagen protein into their lattes and taking a handful of supplements. Ughhhhhhhh I mean I guess it's better to do that than nothing. Just have fun on vacation. Eat chips for breakfast, lunch, and dinner. Or have a side of fruit or street corn. Just please leave the supplements at home!